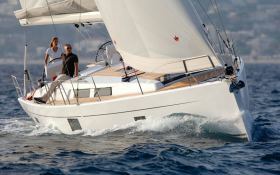 The Hanse 455 is a perfect place to enjoy the beauty of the Croatian coast. In particular from Biograd you will have the opportunity to visit the Kornati Archipelago. 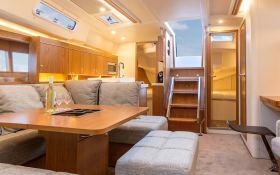 Located in Biograd, Croatia, this Hanse 455 (4 double cabins), available for bareboat, built in 2018 by Hanse Yachts, is capable of hosting up to 10 passengers. 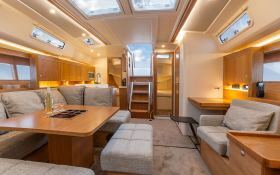 Further more, and for a complete bareboat charter journey, Hanse 455 comes with bow thruster, electronic on board, equipped galley, GSM, WiFi and also CD. 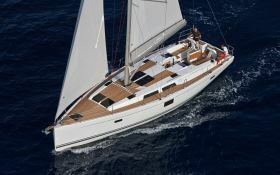 This sailing yacht is available for bareboat charter with a base price of 2 900 € (approximatly 3 270 $).